What is a keto latte ? A keto latte is a variant of the popular coffee latte. 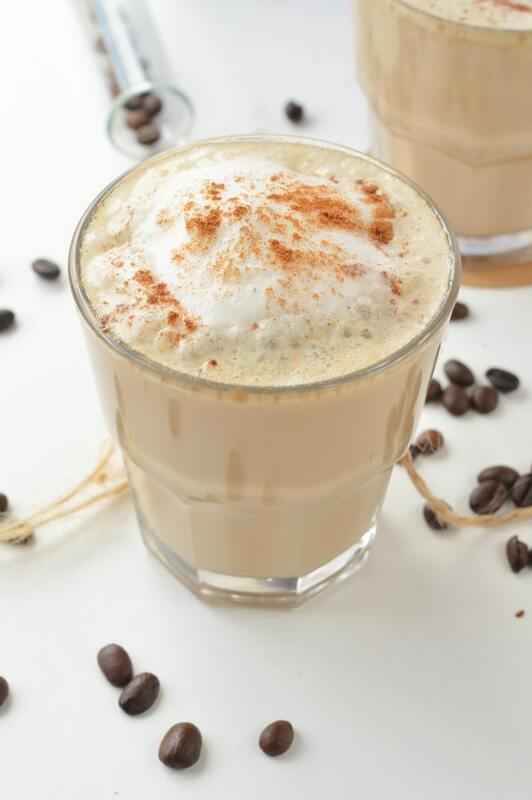 It is a coffee drink made with espresso, healthy fat and dairy-free steamed milk. Our keto latte is 100% dairy free using only wholesome plant-based ingredients to help you burn fat while enjoying an easy-to-digest coffee drink. While dairy are acceptable on a keto diet, they may be more difficult to digest and this fat burning coffee will be easy on your gut. What do I need to make a keto latte? You need very few ingredients. I am listing below any substitution you can make to create different keto latte regarding taste or ingredients availability. Espresso coffee. I used my Nespresso coffee machine, served 1 long espresso to reach 1/4 cup of espresso coffee. I recommend you have a blend of nespresso coffee capsule at home. Choose a coffee capsule intensity that match the time of day. If you drink your keto latte in the morning I recommend the maximum coffee strength – capsule from 9 to 12 capsule. If you drink your keto latte in the afternoon a level 6 or less will be better to avoid caffeine impact on your night sleep. If you don’t have a coffee machine you can used fresh brewed coffee too. 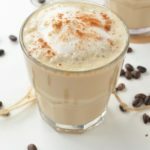 Can I make keto cappuccino or keto caramel latte ? You can’t use flavored syrup on a keto diet as those contains a huge amount of sugar. I don’t recommend artificial sweetener either as they can kick you out of ketosis. 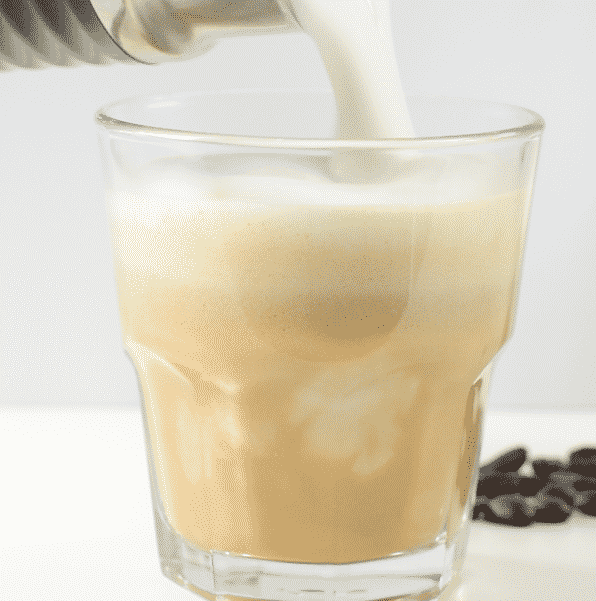 The trick to create a quick caramel latte, vanilla latte or keto cappuccino is to use flavored Nespresso coffee capsules. Those capsules doesn’t contains additives, sugar or milk. It is only flavored coffee. During the holiday season, like Christmas you can also find some fun flavored coffee capsules like Hazelnut, French Macaroon, Pumpkin and more. Cocoa butter. Most keto latte recipes will suggest you use butter as a creamer. I don’t really think it is easy to digest and the flavor of butter in coffee is not for everyone. That is why I recommend you use a plant-based fat source, cocoa butter. Cocoa butter is the fat used to create chocolate. It has a silky smooth texture with a delicious ‘white chocolate’ flavor. It has no dairy, no sugar, it is 100 % pure plant-based fat including contains oleic acid, a monounsaturated fat that decreases the risk of heart disease. MCT oil is a must have on a keto diet. MCT stands for Medium Chain Triglycerides. You can see MCT oil as a super fuel for your body. MCT oil is quickly burned and used by your body cells, boosting your fat burning process and helping you lose weight faster. Cream. I love to use coconut cream as a dairy free option but you can use heavy cream if preferred. 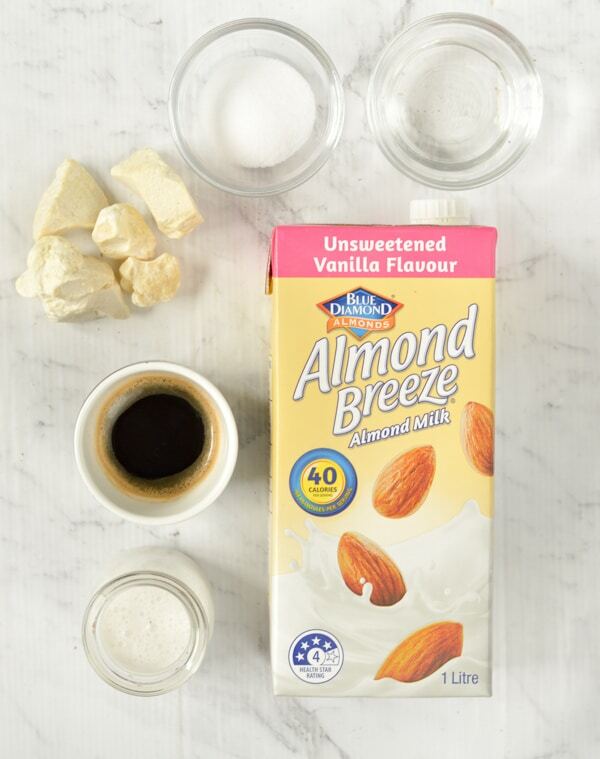 Almond milk – I always use Unsweetened Vanilla Almond Milk by Almond Breeze . This almond milk has no sugar added, few net carbs and it is the only dairy free milk creating a lovely silky foam when frothed. It makes your keto latte even better than the real thing. Sugar free crystal sweetener. It is up to you to sweetened your coffee. I recommend 1 or 2 teaspoon of erythritol or Monk fruit sugar. You can also use stevia drops if preferred. Cinnamon not only add a delicious spice flavor to your latte, it also helps decrease blood sugar level making this spice a great addition to a keto latte. 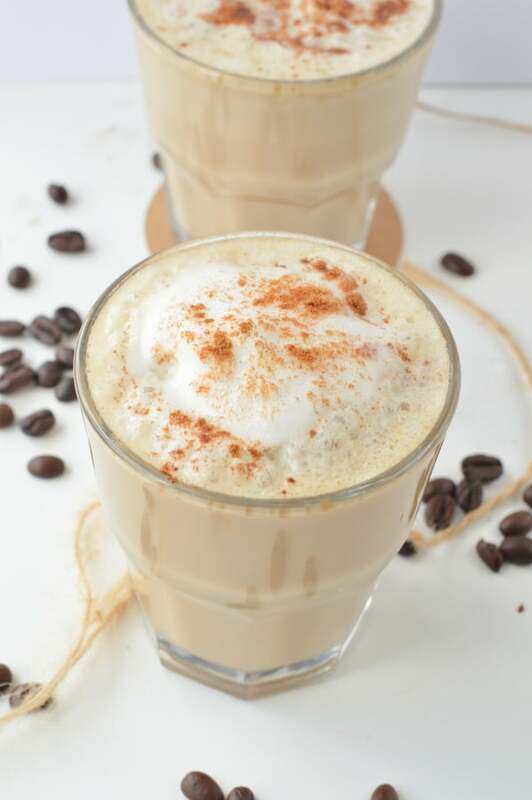 This keto latte is a fat burning coffee recipe has it contains 52% of fat, to help you fuel your body with the necessary amount of fat to reach ketosis. Ketosis is the natural state your body enter on a keto diet to starts burning fat as a first source of energy. Which tool do I need to make a keto latte? You absolutely need a blender, any kind of blender that will pulse the espresso with oils at high speed. It is this process that will create a delicious bulletproof coffee, the base of the keto latte. If you don’t have a blender, you will end up with 2 layers, one with the coffee and one with the oil. It wont get creamy and it will not taste good. I am using a KitchenAid High Performance blender but a simple nutribullet is much cheaper (about $50) and it will work very well. Milk frother – I am using my Aeroccino 3 Milk frother by Nespresso to froth the Almond Milk. 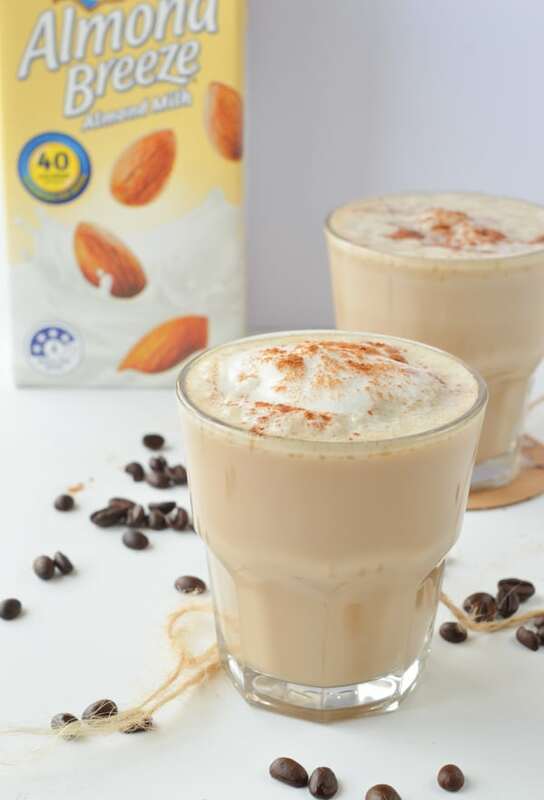 It is highly recommend to creamy a smooth latte using Almond Breeze Unsweetened Almond milk, keep in mind this is the only brand that froth so well ! It create the best milk foam. You won’t regret it! Nespresso machine. I love my Inissia Nespresso coffee machine . It is a stylish small coffee machine, and you can use different sort of coffee capsule, including some flavored ones that has NO sugar added, like the vanilla coffee capsules, chocolate coffee capsules or caramel coffee capsules. French Coffee press – a cheaper way to create a strong espresso is to use a French Coffee press with good quality ground coffee beans. Watch my keto latte recipe video to make the best latte at home ! 10 gram cocoa butter or butter (0.35 oz), weight then melt it! Blend on high speed for 30-45 seconds or until the oil are combined to the coffee and it forms a creamy light brown coffee mixture. Serve into a mug. Set aside while you froth the almond milk. 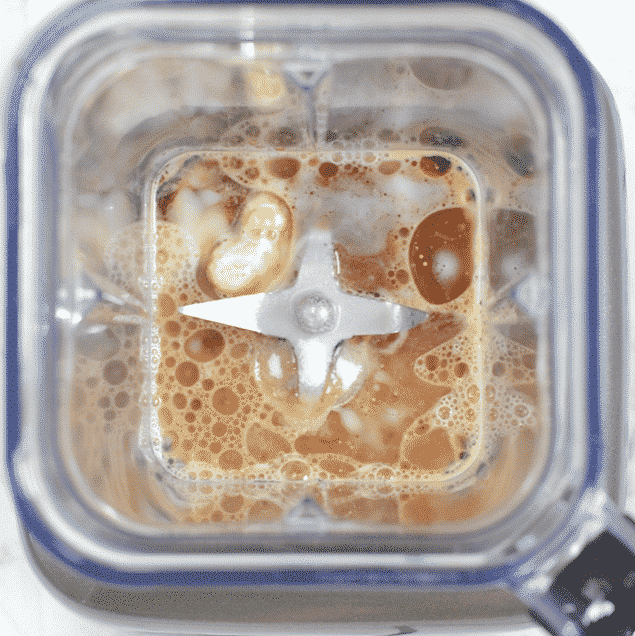 In a coffee frother, add unsweetened vanilla almond milk. Push the frother start button. Almond breeze almond milk create a lovely light foam after 45 seconds. Pour the hot frothed almond milk on top of the previous coffee mixture. Sprinkle ground cinnamon on top for extra flavor. 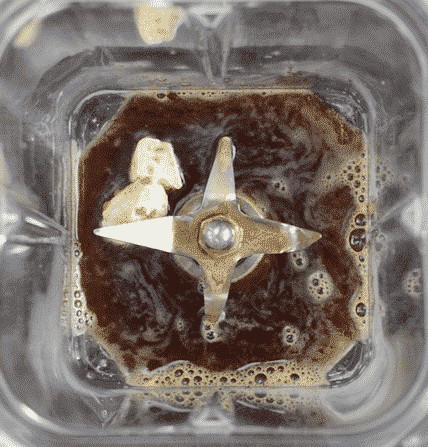 You must use a blender for this recipe or the oil won't blend with the coffee. 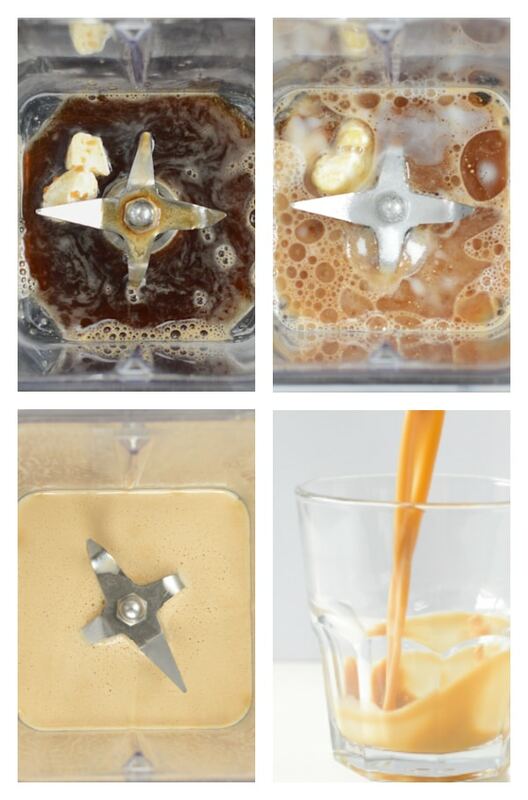 It is this process that create a lovely creamy bulletproof coffee, the base of your keto latte.. Nutrition panel is for one keto latte using coconut cream and cocoa butter. Yes sure! It will add a lovely coconut flavor to the drink ! But note that coconut milk don’t create a foam in the milk frother as almond milk. Enjoy. XOXO Carine.